We got the ‘Go for it’ grant from Newham and bought the musical scores, we ordered sandwiches, samosas and fruit – now all we needed was the singers. And they came! 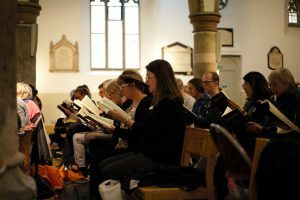 Twenty-nine new voices were added to more than forty from All Saints Chorus to make a super-choir, All Saints Festival Chorus. Together we’re taking on the challenge and the vocal strain of tackling Beethoven’s greatest hit, ‘Ode to Joy’, the final movement of his 9th Symphony. At 10am people were registering and picking up their free scores, and by 11am we were all making glorious music. Not everyone had sung ‘Ode to Joy’ before but everyone was up for it. 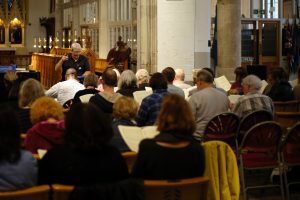 With guidance from musical director Jon Cullen and assistant conductor Sam Cross, we filled the church with a bigger and better sound than we had ever thought possible. Choir members who had already had some practice helped the people who were new to the piece. “I’m doing fine, you’re all pulling me along!”, said Pat, who had come along for the day. Piles of tasty lunchtime sandwiches vanished at speed, after we were all made ravenous by a couple of hours of Beethoven. In the afternoon we split into groups by voice part to really get to grips with the music and master the tricky bits. Then, back together for one final sing, sounding confident, before the ‘Ode to Joy’ marathon came to an end.Having worked so hard on the piece there is great excitement about the concert. Seven more Tuesday rehearsals to go! 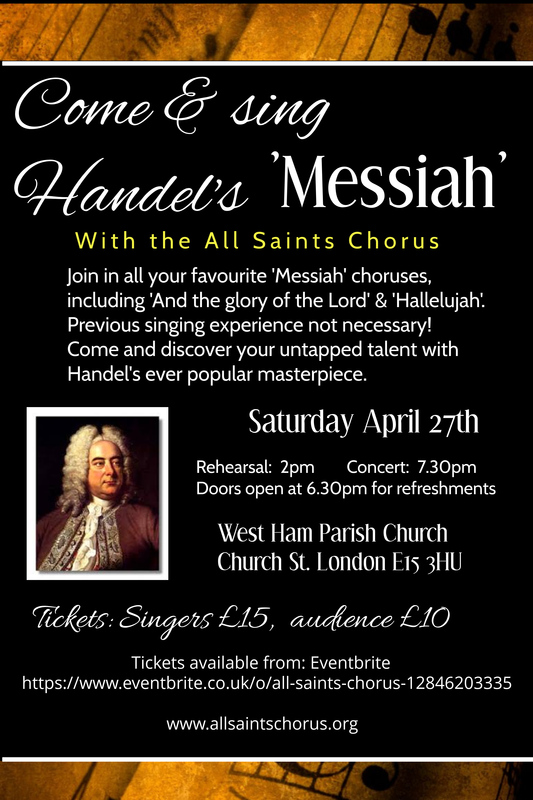 So put the date in your diary – Saturday 24 November 2018 at 7:30pm, West Ham Parish Church. This is not one to miss!! A selection of comments from the day.